Defensiveness might seem like the cuddliest of the horsemen. It doesn’t attack… it didn’t mean it that way… and it certainly didn’t do anything wrong. If you haven’t been following along, we’ve spent the last few weeks on The Gottman Relationship Blog discussing Dr. Gottman’s Four Horsemen and their Antidotes in the context of self care. Last week, Zach introduced us to the third horseman: defensiveness. We continue the discussion today. Defensiveness might seem like the cuddliest of the horsemen. It doesn’t attack… it didn’t mean it that way… and it certainly didn’t do anything wrong. It never does. In reality, defensiveness is very complicated and not very cuddly, particularly because of its seemingly harmless and habit-forming nature. It is, after all, a natural response to perceived attack. We all know how easy it is to defend ourselves, even about being defensive! 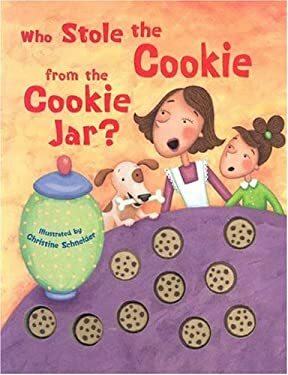 Trouble is, finding someone to blame doesn’t usually solve the problem (“Wasn’t me!” “Then who?”) By the end of the conversation, the cookies are still missing and someone doesn’t want them to be. This remains to be discussed both in the example and in the rhyme. Giving in to the temptation to be defensive usually creates further conflict. So does a common variant: finding someone to blame in effort to achieve immediate relief from stress. These coping strategies certainly provide no opportunity for productive connection. They don’t allow us to join together as a team to solve the problem – to look for missing cookies or discuss a difference in perspectives, needs, or boundaries. They prevent us from moving forward with a better understanding of each other. The sobering truth is that, when we allow the horseman of Defensiveness to run free, we sign up for mutual unhappiness. Not taking responsibility is toxic to relationships. In abdicating responsibility, we actively choose not to take care of each other. We practically ensure that no one’s needs get met, making life harder not only for our partners but for ourselves. We perpetuate mutually destructive relationship patterns. This is not self care. What can we do differently? What do Drs. John and Julie Gottman have to say about all this? In our next posting, we’re lucky to hear directly from them, so stay tuned! Because we feel that it is important to “know thine enemies," in today’s blog post we will share Dr. Gottman's greatest relationship killers that he has discovered in his 40+ years of research. In Wednesday's postingon The Gottman Relationship Blog, we promised to follow our scientific specifics on stonewalling with a healthy alternative! The antidote to stonewalling is self-soothing. According to Dr. Gottman, straight couples may have a lot to learn from gay and lesbian relationships. According to relationship and marriage expert Dr. John Gottman, couples wait an average of six years of being unhappy before getting help.